Has T-Mobile CEO John Legere finally bit off more than he can chew? After adding 2.4 million new subscribers over the last quarter, the brash executive made a rather startling forecast. He said that by this time next year, T-Mobile would have 75 million subscribers. To put that in perspective, the nation's fourth largest carrier currently has 49 million subscribers. T-Mobile would have to add 26 million subscribers, or 6.5 million in each quarter. Considering that would be more than two and a half times what T-Mobile added to its subscriber list this past quarter, Legere might be drinking too much of his own Kool-Aid. What T-Mobile is more likely to do next year, is jump over Sprint to become the nation's third largest carrier. Sprint has a 6 million customer lead over T-Mobile, a lead that could disappear by the beginning of 2015. Sprint has admitted to losing subscribers while it tweaks its network, and Legere and crew have momentum. So while 75 million subscribers might be impossible for T-Mobile to reach next year, there still is a reachable goal for the carrier. If T-Mobile does overtake Sprint to become the third largest carrier in the U.S., would the regulators feel differently about Sprint buying T-Mobile? After all, it would then be the fourth largest carrier buying out number three. He may not be wrong. I know many who are now increasingly willing to switch over to T-Mo.. and that's just from people I know. My Guess is at the very least, T-Mo will add another 7.5 mill by the end of this year.. so 10 mill by next year this time.. which would put them at 60 million customers. Now let's say things pick up, as I believe they are, then we could be looking at 5-7 mill on top of that.. maybe even 10. Which would put them at the 70 mill mark.. no small feat. Now at the same time we'd see the other carriers subscribers go down. The author has it wrong in that beginning of next year is when T-Mo will jump over sprint, because they're not using simple mathematics. If Sprint is at 56 million and T-Mo is at 49, lets say Sprint loses 1 million customers to T-Mo.. that brings the number to Sprint 55 and T-Mo at 50, thus dropping the gap by 2 million instead of 1. The gap can (if T-Mo plays it's cards right) be closed and overcome within the next 2 quarters. Remember that John said that if we thought last year was a big year, we're in for a surprise for this year? Well clearly there are some other moves up T-Mo's sleeve, thus leaving room for even MORE momentum, thus making the 75 million subscribers a non-impossible feat. In such a case it would be a PHENOMENAL move on T-Mo's part, to effectively raise their subscribers from 39-40 million in beginning of 2013 to 75 million in beginning of 2015.. an almost doubling of customers. My guess is that Legere is putting a lot of faith into expanding the current 2G EDGE areas into 4G LTE areas, and combine that with the 700Mhz spectrum they just bought from Verizon, to augment the network a bit, its not unbelievable that he would be able to gain more customers, provide a comparable coverage area to AT&T, less restrictions and more features than Verizon, and even continue to offer better speed, and better family plans than Sprint. Im guessing this alone will hold them over till the 600Mhz auction is put in place, where T-Mobile is at best liberty to buy almost as much as they are allowed in almost every market, where as Verizon, AT&T and Sprint are looking at more restrictive spectrum screens. T-Mobile, having successfully migrated and converted the MetroPCS network into the T-Mobile network (based on handset conversion and spectrum movement), could make a final play for the last major carrier, US Cellular, which has not only AWS but 700Mhz licenses in all the rural areas that T-Mobile doesnt, and deploying LTE in that area, would be easy since USCC is already doing it, turn off the CDMA, and move to VoLTE (which T-Mobile already is doing via MetroPCS). This is the perfect time for T-Mobile to gain 4.3 million more customers through that merger - in turn, with the extra spectrum and network gained though all this, T-Mobile can finally get rid of majority of roaming agreements, saving them a fortune in roaming fees and manage to keep T-Mobile customers on T-Mobile brand networks. I think going hard after Sprint's customers is the big short-term win for T-Mobile. Through marketing, special offers, and other promotions, T-Mobile should just kick the crap out of Sprint and try to steal as many of their customers as possible (in existing, strong T-Mobile markets). An acquisition of US Cellular is a more strategic, long term play. Still likely a good play for any of the larger telecoms to pick them up, including T-Mobile. I don't think things will go that way. Once subscribers increased, the network speed will slow down quickly. Will they have enough budget to maintain/increase the towers? Also they will need to hire more staffs to operation/customer services. Will they be able to keep profitable? Once the speed/services become worse, they will lose subscribers. I like Tmobile and wish they succeed, but speculation may not come true next year at this time. T-Mobile made profit last quarter. Just saying. Revenues are up 47% from last year and Tmo is the fastest growing carrier right now but at the same time they have posted losses in four consecutive quarters. So yes, Tmo is losing c-c-c-cash. They are focusing on growth right now but they will be forced to change cuz its coming at a price. You'll get bonus points if you can tell me where the c-c-c-______ comes from. Greatest thing to happen to my childhood. 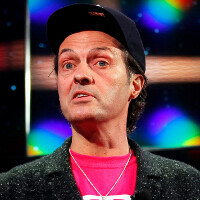 T-Mobile America is funded by its parent company Deutsche Telekom. T Mobile won’t go broke as long as Deutsche Telekom thinks its worth being in America (or at least until Deutsche Telekom sells). Also it's not losing cash. It's making investments. If you put down $50,000 for a house, you lost $50,000 in the short term, but with your eye one residual long term profits. The same applies with subscribers. They may put down a large sum right now but it comes with the goal of long term profitability and returns. Also, read what PapaSmurf said. And how did you come up with your assertion? Instead of TALKING about subscribers how about you work on your coverage because let's face it... Without good coverage those folks will leave. He talks about everything but coverage issues... Should that be what he constantly talks about improving? I just don't get this guy . Well, if T-Mo gets a few $Billion + additional spectrum from Sprint as a break-up fee once the marriage is forbidden by the gubment, network upgrades to support increased users becomes possible. Growth requires investment to support the growth, which is the challenge facing T-Mo. Such public announcements by a CEO are regarded as promises and, as such, Legere has just created a liability for T-mobile. For, unless he delivers on this promise, investment funds will sue the company hands-over-fist. It's perhaps doable, if the network is expanded and beefed up to cover more customers. However, I think that if the conversion from its 2G coverage to LTE were a reality today, then it would be more feasible. As things are, when both coverage and customers are being expanded, is quite a hurdle. The fact he laughed after he said it, PROBABLY would negate anyone being able to sue for it. I notice that Phone Arena left out this fact. The interview went like this: Interviewer: So it looks like these Uncarrier moves are paying off. If things keep going this way, where will you be a year from now? John: I think we’ll meet Verizon and AT&T halfway at 75 million [laughs]. Phone Areans just knows it is a much better click-baiting headline to write it as if he said it sincerely. Usually I am all for Phone Arena reporting, but this headline was a little disappointing. Also the fact that they never mentioned that he was joking in any of the article. The original article is in the source; check it out. It is a good read. What in the world are you talking about? No one is going to sue over a projection. Companies make projections all the time that don't meet expectations. Even if he's off by 5 mill., that would be an amazing feat and investors will be very happy. The coverage issue has already been address, and quite impressive I might add. Checkout the article on TmoNews that is dated 3/13/14. Tmo launched a massive network upgrade and promised customers that 50% of 2G/Edge will be converted to 4G/4GLTE by the end of this year and by this time next year, the entire network will be 4GLTE. To add further, Tmobile does have a great track record with their promises, unlike Sprint and their 4G. With these kinds of comments from him this will make the merger that much more unlikely to happen which is great in my opinion. Rollover data will help t mobile get there. Even tho T-Mobile still have work to do in rural, it has achieved SO much in the past two years. It's honestly a completely different network than it used to be. Having said that with the newly bought 700MHz from Verizon, transitioning 1900MHz PCS into LTE and the upcoming 600MHz spectrum auction next year, they are making huge strives that will improve rural as well as major cities and suburbs. Say what you want about Magenta, but they're truly showing serious effort. Drinking his own Kool Aid is an understatement. Delusions of grandeur is strong with this one. Highly unlikely! It's one thing to be confident. But, one should also be realistic. Legere is not even in tune with the aspects of what responsibility and pressure he has just put himself in to meet shareholder expectations. This isn't a sports game. This is a business in a very cut throat industry. To put this in perspective, John Legere is looking to steal a little more than an 1/8 of AT&T, VZW and Sprint each within metropolitan areas. Forget rural because Tmobile has no rural native coverage. And this is where people have their wish lists. To have city AND rural coverage. This dude is smoking some very potent plant. The only argument to satisfy this goal would be a merge or purchase of another wireless provider. John B. Keep in mind that he was actually joking when he made that projection. The article failed to mention that. To have the coverage of there LTE where they currently have 2g edge service says a lot to convert that all over. Then spectrum purchase from VZW. They new antenna array that they are supposed to using for better network load. If they keep this up they might not reach 75 but may surpass sprint as another commenter had said.